The second major of the season was played on Saturday and the course was in magnificent condition with the greens running at 8 on the stimpmeter. Some tricky pin positions meant that scoring wasn't too low but there was a clear winner as Patrick Scanlan scored a nett 65, his second win in three competitions and his handicap has fallen in that time from 18 to 15. Patrick had a particularly steady front nine with six pars and is clearly in good form at the moment! In second place was Alan Derbyshire with a nett 70 and in third place was Antony Green also on nett 70. The nearest the pin winner was Steve Nicholson and Steve Bond (pictured right) won the longest drive. The next competition is the Benny Trophy on Sunday 25th May. We played our first match in the Cheshire nine hole league away against Gatley Golf Club last week. It was a great start as the team recorded a 3-1 victory, it was a particularly good win as it was against the club that won the league last season. The winning players were Martin Major, Alan Royle, Antony Green, Tim Barnes, Patrick Scanlan and Steve Hulse with the only loss being the pair of Steve Bond and Paul Underwood. The next match is at home against Woodside Golf Club next week. The Seniors played their reverse fixture against Sandbach Golf Club at home last week and the result was again a 4-4 draw as it was the week before at Sandbach. Nearest the pin winners on the day were Paul Green and Bob Bowen from Hartford and Colin Ecclestone from Sandbach. It was also really good to hear many positive comments from the visiting seniors about the good condition of our golf course and the clubhouse catering. Photographed (right) is Seniors Captain, Graham Bower and John Sykes with two Sandbach members. The Seniors then played a nine hole Stableford on Tuesday and despite some wet weather Alan Tayler scored 20 points even after not scoring on the last hole. He beat Bill Powell on a card play off after he also scored 20 points and Captain Graham Bower continued his recent good form with a third place finish. There was a good turn out of 20 ladies for their nine hole Stableford last Thursday. The winning score was 17 points by Audrey Kettle, in second place was Kath Hough with 16 points and third went to Alison Worrall also on 16 points. The first Monday evening ladies Stableford of the summer was played this week, the winner was Evelyn Vass who had her second win in a row after victory in the ladies Barnes Trophy last week, she scored 19 points and had no worse than a bogey over her nine holes. Sue Gunning came second with 14 points and Katie Pickering finished third also on 14 points. The next ladies competition is the re-arranged Stableford this Sunday starting at 1pm.. 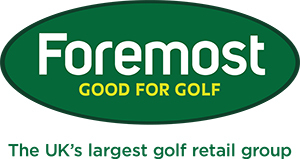 The next fitting day in our calendar is with Callaway Golf on 25th June from 3-7pm. On the day a Callaway fitting expert will be available to give you a full FREE fitting on any of the current Callaway range and there will be some special offers also on the day. If you would like to book one of the fitting slots please click here. If you have called in to the shop recently you may well have noticed that we have some cracking deals on the 913 range of Titleist clubs, the drivers are now reduced to just £249, fairways £169 and hybrids at £149 plus we will also throw in a sleeve of Titleist golf balls of your choice with any purchase, and with any new set of Titleist 714 irons purchased we will give you a dozen Titleist balls FREE of charge! How would you like to save some money so you have more cash for that round you owe in the clubhouse?! 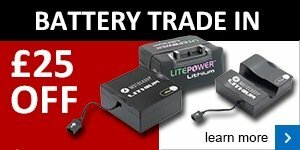 Well, if you trade in your old battery we can give you £25 against a Lithium battery. Lithium works out a lot cheaper over time and is the best way to power your golf trolley. This is your last chance – take advantage now. Save yourself time and money, go lithium! 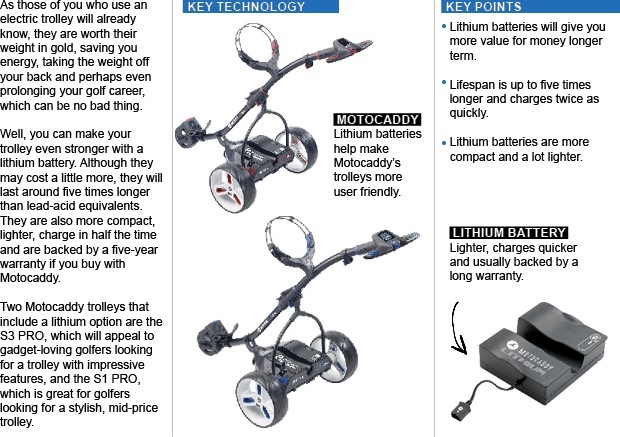 Sure, a lithium trolley battery may cost a little more than its lead acid alternative; but Motocaddy lithium lasts five times longer, is a fraction of the weight and recharges much faster. For trolley power, it pays to play the long game. Next time you're around, drop in and ask us for a demonstration. We'll be delighted to help. You can't take the appropriate steps to improving the quality of your iron strikes until you know the nature of your mishits. 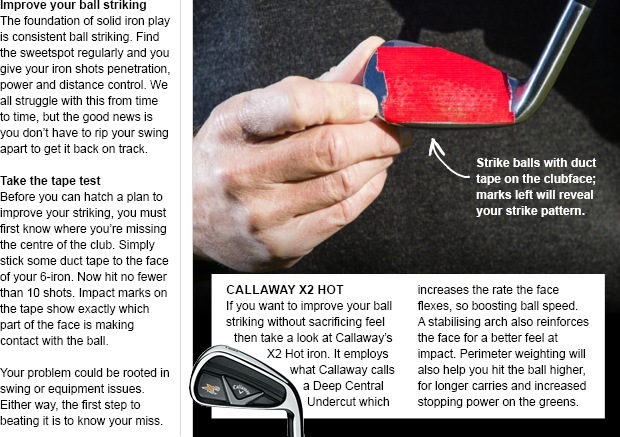 So here's a simple way to find out... and put the wheels of better ball striking in motion. The next step is to take advantage of our extensive knowledge of equipment, fitting and swing technique to find the solution. We'll be delighted to help. 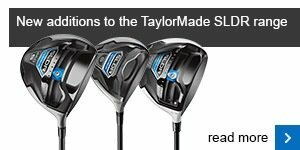 With the introduction of TaylorMade’s SLDR Mini driver and SLDR S family, as well as a white version of the original SLDR driver, there are more options for us to work with. The 260cc Mini features a low-forward centre of gravity which means you may well benefit from playing a higher loft.